Multi Sphere Light. 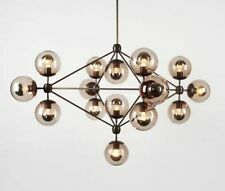 Contemporary multi sphere light. Possibly from Heals but can’t quite remember. All boxes up and ready to go! collection only Condition is Used. Contemporary chandelier with clear cover in good condition. Condition is Used. Collection in person only. 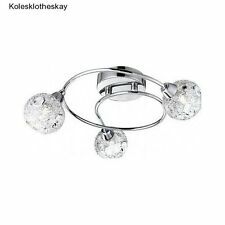 K9 Crystal Chandelier Modern Ceiling Light Shade Droplet Pendant Light Fixture. 1 x K9 Crystal Ceiling Light. Suggested room fit: bedroom, living room. Bulbs not included, you need to buy E14 bulbs. SBC candle lamp x 5 glass leaf shades - standard wiring 3 core. This elegant ceiling light fitting was purchased ex-display from John Lewis a few years ago for £90. We never got around to fitting it. It was still bubble wrapped until we took the photographs. Weight: 2.3 kg Height: 38 cm Diameter: ~ 35 cm Bulbs: G9 Wouldn't want to risk posting it, so collection only. 6 Sided Outdoor Wall Lantern Black Or White Motion Sensor Detector PIR Sensor. Reflector Bulbs. Fluorescent Tubes. Alarm Cable. Ceiling Lighting. Colour - Silver. Lighting > Outdoor Lighting. Pull Switches. This Crystal chandelier is fitted with LED built into the base plate and the base plate fits flush to the ceiling. The LED on this chandelier is cool white ultra bright premium quality LED. Led Chandelier in a Beautiful Spiral Design With Premium Quality Lead Crystals. 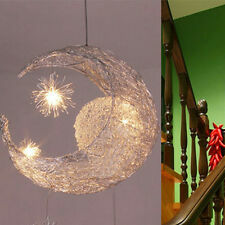 Modern Double Spiral H90cm D40cm Clear Crystal Ceiling Light Chandelier. Modern Rain Drop Bridge Wave Ceiling Fixtures Pendant Lamp Crystal Chandelier. Material: Stainless Steel & Crystal. Color: Clear. Complete with 3 spherical gold shades inset with crystal glass. Semi flush satin brass 3 light ceiling fitting. as our experience is that delayed orders can frequently be found there, even if a "missed you" card has not been left. Modern Double Spiral Clear Crystal Ceiling Light 186CM Long Crystal Chandelier. Modern Rain Drop Bridge Wave Ceiling Fixtures Pendant Lamp Crystal Chandelier. Material: Stainless Steel & Crystal. Color: Clear. Satin Silver with Glass Tubular Shades. Very Stylish & Contemporary 5 Light Ceiling Fitting. Our experience is that delayed orders can frequently be found there, in the absence of a "missed you" card. Modern Rain Drop Bridge Wave Ceiling Fixtures Pendant Lamp Crystal Chandelier. Material: Stainless Steel & Crystal. Color: Clear. After a week still not receive the products. Bulb Type: E14 X 8, Max 60Watts (Bulbs not include). Complete with 3 spherical gold shades inset with crystal glass. Semi flush satin brass 3 light ceiling fitting. Shades must be as received with wrapping intact. These will be advised during the checkout process. 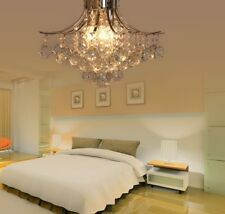 A fantastic lighting set comprising of 2 ceiling lights , 2 wall lights and 2 table lamps. ( at present one table lamp has no shade but I will find a replacement ASAP. ) Very attractive and much admired. Collection only due to fragility of items. Any questions please feel to ask. However, we are so sorry that we may not take any responsibility of the loss. This light is a light source, 3 headlights, suitable for bulb specifications G10, 3 G10. We are always here for you. • Gross Weight: 4.7kg. Chandelier hook ceiling rose LARGE 100mm ? Brushed Nickel ? Tiffany Chandelier Lighting Hook. Round Ceiling Rose. LARGE W 100 mm H 70 mm. Possibly Brushed Nickel finish.? Condition is Used, but good. Item will be dismantled prior to sending. Please see all of my pictures for true condition of the item. Please ask any questions about this or any of my other items. Thank you for looking. Chandelier Height: 46 cm. Chain & Ceiling Cup Length: 22-52 cm. Minimum Ceiling Drop: 92 cm. Also available in Black, White and an five arm version. 1 X MODO Chandelier. Lamp Type : E27. Material: Iron, Glass. Light Bulb：5 ( light bulbs do not included). Fit for: Living Room, Dining Hall, Bedroom, Balcony,Study, Bar, Cafe, Restaurant,etc. These use standard size (E14) screw in light bulbs - max 40w per bulb - candle bulbs in picture can be incuded if desired. This ceiling light is unusual and striking. A truly beautiful light that would look stunning in any setting. 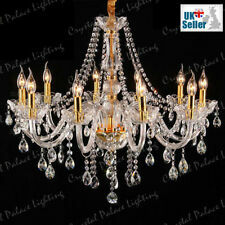 Modern Contemporary Crystal Chandelier Pendant Ceiling Light Fixture 12 Arms UK. Modern Crystal Chandelier Ceiling Light is both light and decoration for your house. 1 x K9 Crystal Chandelier ( Bulbs Not Included). Chrome 5 branch cage chandelier. Used item. Looks brand new. Weights approx 13kgs. x Large chandelier. 87x87cm Diameter- Aprox. Selling due to building work at home. Chandelier is big so need of high ceilings. Modern and fashion design, idea for interior house use ,fix on the ceiling. Type: Ceiling Light. 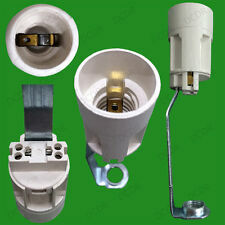 Includes basic assembling accessories for easy installation this fixture does need to be hard wired. If you find any problem of our products. 1 X MODO Pendant Light. 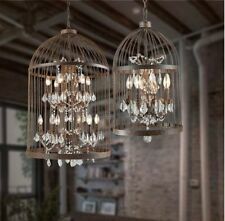 Style : Chandelier Pendant Lighting. Ceiling lights pole Length: 30cm (adjustable). Lamp Type : E27. Material: Iron, Glass. The height can be customized as you want, to add different length ro. THREE LINEN NATURAL SHADES. MODERN DESIGN WHITE THREE LIGHT FITTING. Shades must be as received with wrapping intact. HEART DESIGN CREATED WITH BUTTONS. View Our Categories. These will be advised during the checkout process. 4 Light 3 Tier Acrylic Ceiling Fitting with adjustable chain and cable. (Adjustable length up to 70cm). Takes 4 x bulbs. Design: Pendant Lamp. 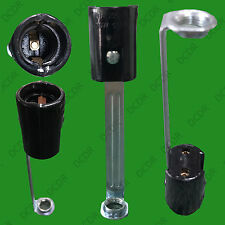 Bulb Base Type: E14 Bulb. Power: 40 W x 6 Bulb. Type: Energy-saving Bulb.